Planning your wedding? Stop by the Weddings of Tulsa Bridal Show this Sunday, January 20th from 1pm to 5pm at the Mabee Center to meet with some of Tulsa’s top wedding experts! 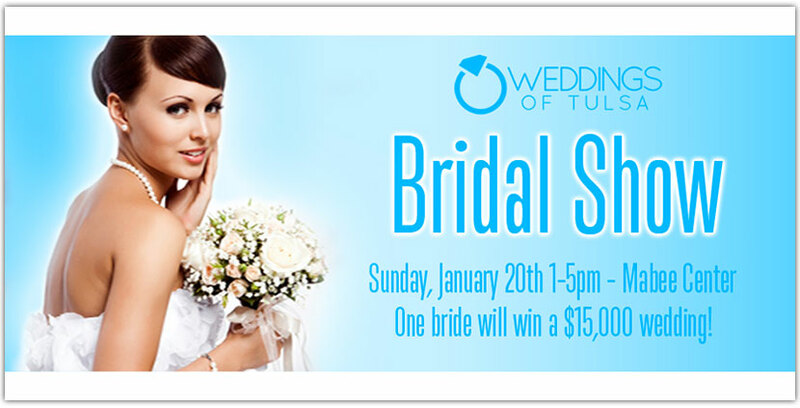 Not only will this be a fun place to begin planning your wedding, but one lucky bride has a chance of winning an entire wedding valued at over $15,000! Be sure to RSVP on Weddings of Tulsa‘s Facebook event (https://www.facebook.com/events/485323678153991) to stay updated on all the details of the bridal show, plus half of the giveaway contestants will come from those who are checking in on Facebook and tweeting pics of the show! Sweet! If you aren’t able to visit the show this weekend, the Weddings of Tulsa showroom is open 7 days a week for your convenience, located at 81st and Harvard.